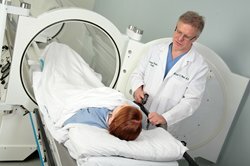 Wound care and hyperbaric services at Lancaster General Health, in Lancaster, Pennsylvania, has received accreditation from the Undersea and Hyperbaric Medical Society (UHMS). The outpatient medical facility is located in the Suburban Outpatient Pavilion. Learn more about facility accreditation in our UHMS profile and on the UHMS website.